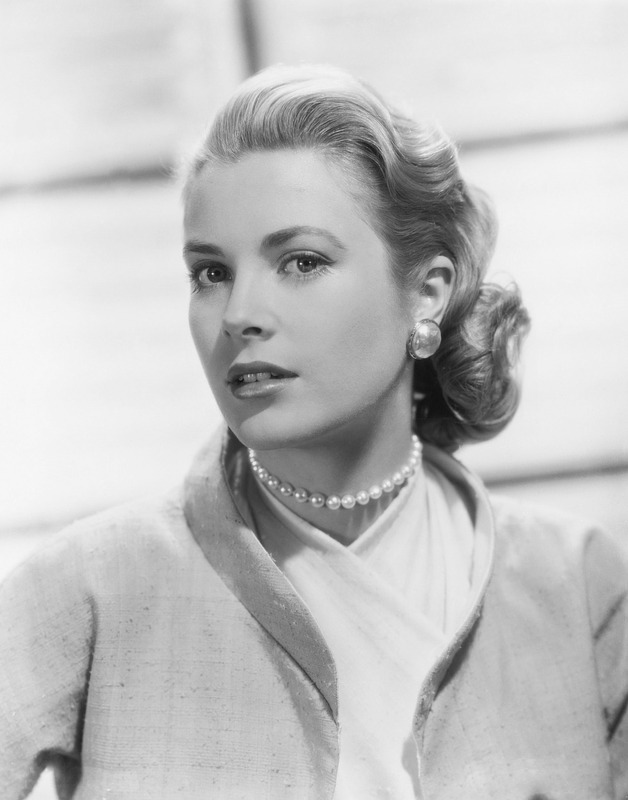 Jewels from the personal collections of the late Estée Lauder and her daughter-in-law Evelyn will be auctioned at Sotheby’s on December 5. 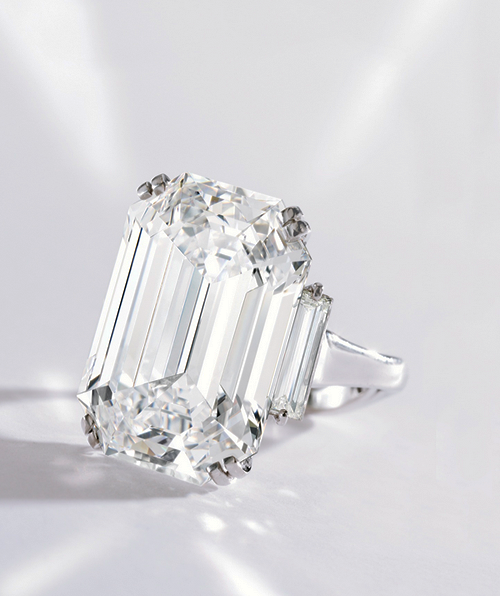 More than 35 pieces, including rare colorless and fancy-colored diamond jewels by Oscar Heyman & Brothers, Graff, and Van Cleef & Arpels, are expected to fetch over $13 million. 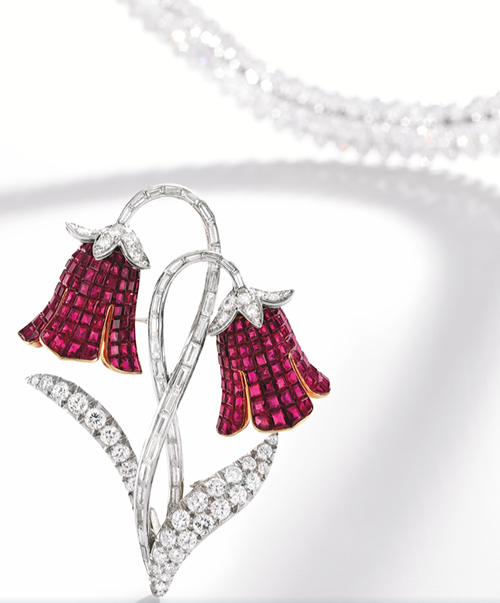 Proceeds from the sale of the Lauders’ collections will benefit The Breast Cancer Research Foundation, an organization founded by Evelyn Lauder in 1993. 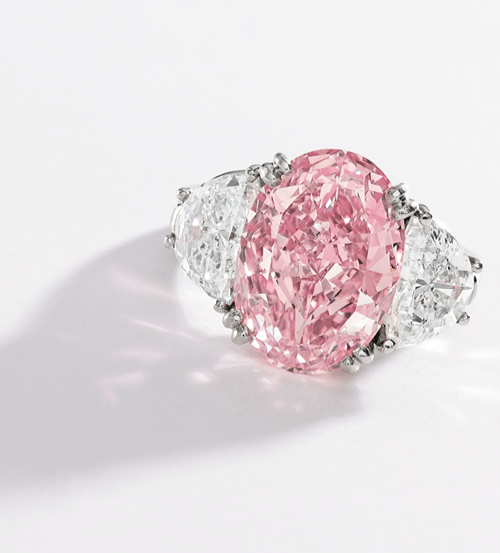 The Lauder jewels leading Sotheby’s auction include a 6.54-carat fancy intense pink diamond ring by Oscar Heyman & Brothers and a 22.16-carat D color, Type IIa diamond ring by Graff. 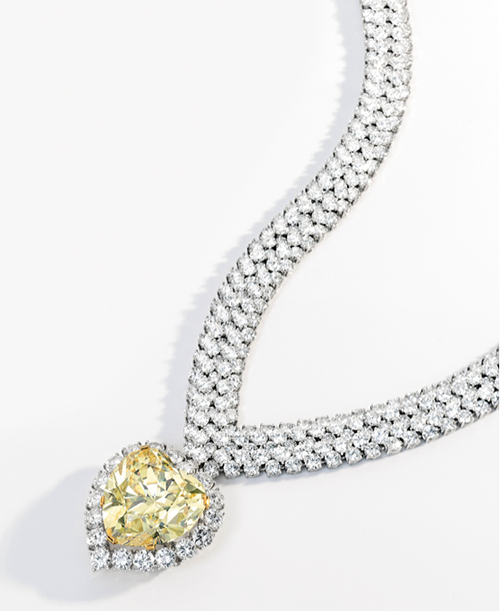 A fancy-intense yellow diamond of 47.14 carats, set in a diamond necklace by Van Cleef & and Arpels, will also highlight the sale. 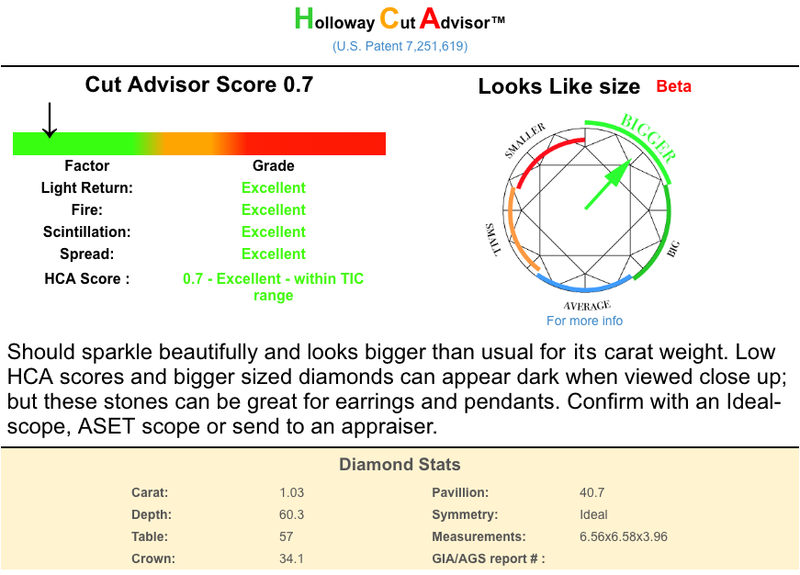 The rare heart-shaped diamond was formerly in the collection of the Duchess of Windsor. 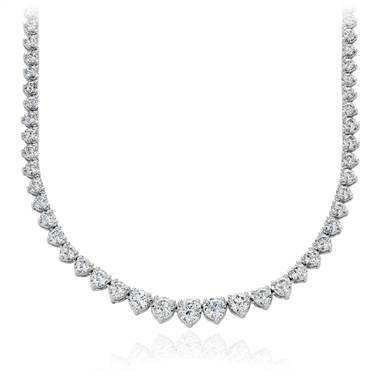 Visit Sotheby’s for additional highlights.